At NE Timber BenchTops we have two major objectives: To produce high quality products, and to provide excellent service to our customers. Here are a few examples of the comments we receive from our customers about the quality of our products and our service. We are thrilled with the work that NE has done. I had an idea in mind as to what the bench tops would look like, but when I got home and saw them they were far beyond what I had expected. Well done Cameron on a really great job. Our dealings with NE have been first class right from the start: you were responsive to my query off your website; the estimate was very accurate; the quote was very fair; Cameron was always available on the phone; he was spot on with his estimate as to how long the job would take. But I am still blown away by how beautiful the bench tops look. Well done guys an a great job. It was a pleasure working with Cameron. His passion for wood and eye for detail was apparent throughout. A journey which started with choosing not to go the ‘IKEA’ route, but instead spending a bit more money for the sake of quality and personal service. Thanks. 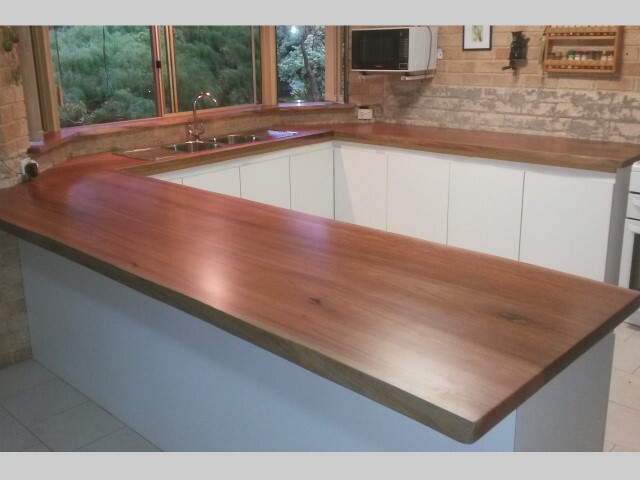 We loved our stained Marri benchtops (as does everyone that sees them). They are exactly what I wanted and pictured in my head when I approached Cameron with my request. He is very helpful, friendly and professional. He was willing to go along with my experiment and was nearly as thrilled as we were with the end result. The quality of his work is amazing, and the effort he put in to get a stain for the wood to perfectly match our floorboards was appreciated. We will be coming back for more. Thanks again. We just wanted to thank you for our ensuite benchtop and your service. We are so happy with the finished product and it is my favourite part of our new home. Look forward to hopefully getting you guys to make us something again soon. Thank you for your excellent service and workmanship. I have enjoyed working with you to create some wonderful pieces of furniture. It’s amazing, thank you!! I have been delighted working with Cameron. He is a real craftsman and his attention to detail was excceptional. I would be happy to endorse the business. I would like to thank Cameron for his service. 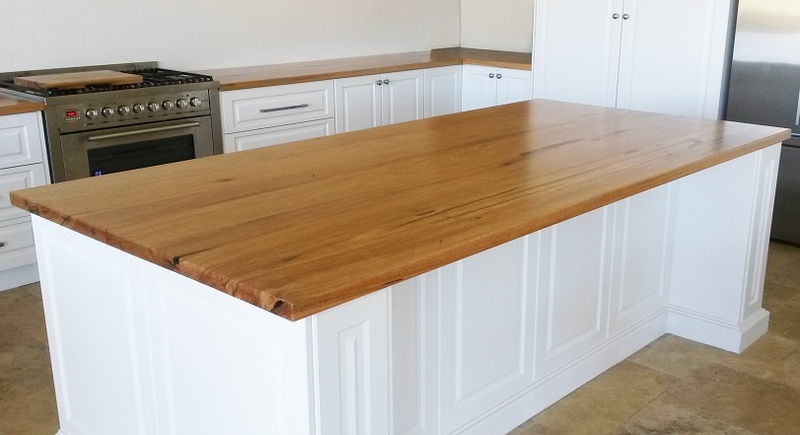 We are very happy with the beautiful island bench top he was able to give life to from our recycled beams. A delight to do business with. We are extremely overwhelmed by the quality of the work you have produced. You have done a truly amazing job. We will recommend your business to anyone we know in future. Thank you again for the great service and superb quality end product. I have attached a few photos from the last job you did. Looks fantastic! The mantle piece looks fantastic and everyone makes really positive comments about it. We still marvel at what Cameron’s craftsmanship and attention to detail has produced in the bench top. It is almost as though he has installed nature’s art work in our kitchen! Especially when the sun shines on it to give a warm and welcoming glow. It is just perfect, and we can’t thank you enough. Throughout the whole process Cameron’s manner was knowledgeable, calm, respectful, and professional. I have to say Cameron’s service was awesome. He knows his stuff, and the way he explained what he wanted to do and how he was going to complete the job, was impressive. Then when it came to fitting the top, the guys did a great job and finished it off well. 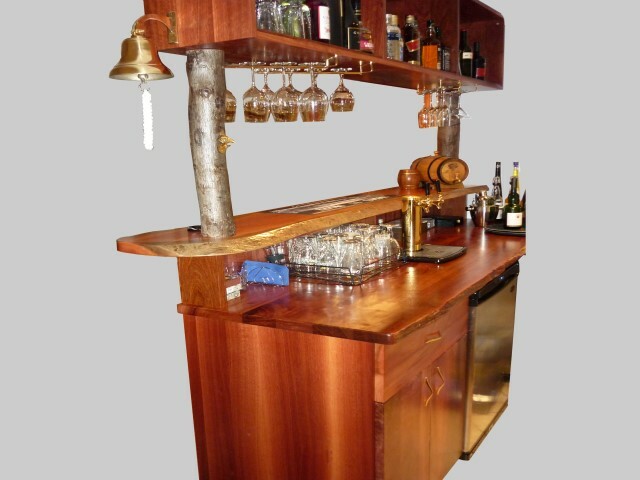 “Now there’s a bar – the jarrah is beautiful. It is a real feature. We would like to thank Cameron and yourself for the perfect end result. We are quite ecstatic – we made the perfect choice – with your exquisite workmanship and easy working relations. We are very proud. Thanks lots. 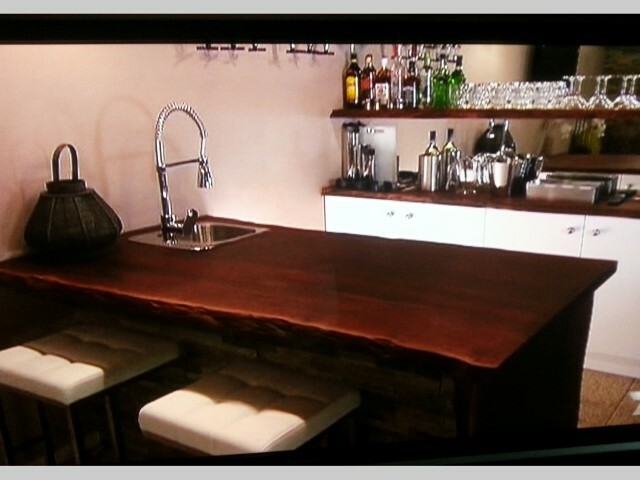 Thanks so much for the beautiful craftsmanship and timber you supplied for the bar top. My grandson fitted it for me as he is an apprentice shopfitter, and was blown away by the beauty of the timber and incredible workmanship. 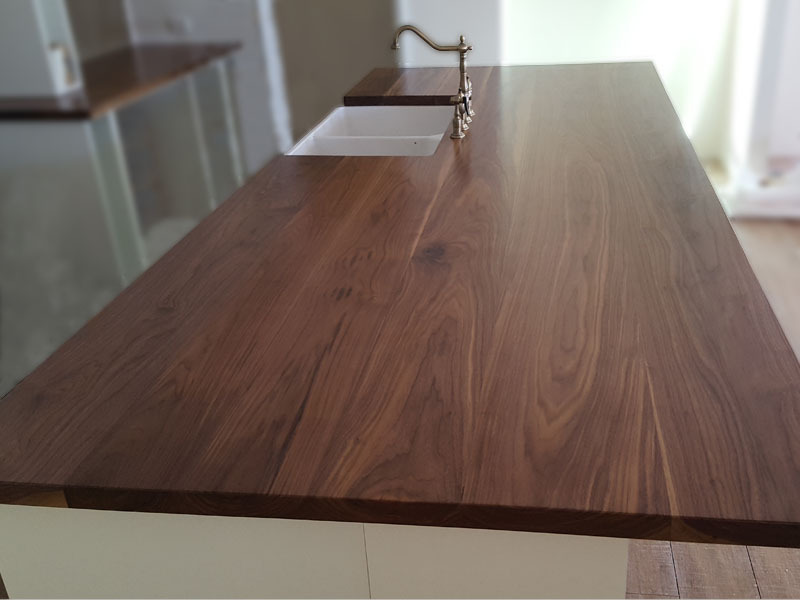 We are extremely happy with our benchtops, and the workmanship that was carried out was outstanding. Would highly recommend your company to anyone looking for timber benchtops. Cameron, I would like to take the opportunity to thank you for a great job on the building of my bar. The workmanship has been of the highest quality, you came in exactly on budget on what was quoted, and you built it in a time frame that was tight, but you did it. Many thanks for your hard work, and I highly recommend you to any new or prospective customer. Please feel free to use my contact number. 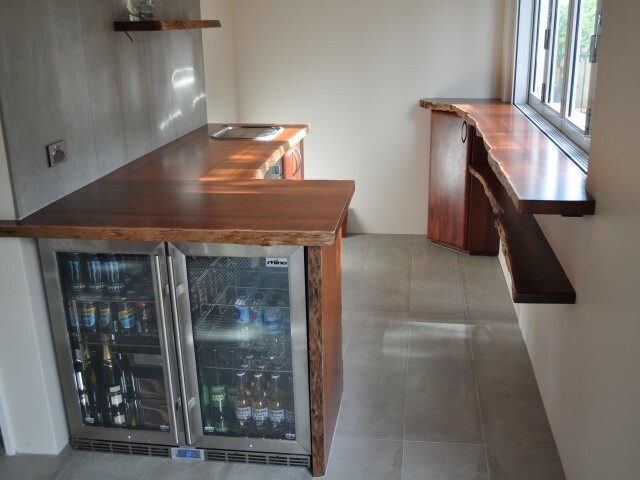 Our client has stated that they are absolutely in love with their new bar top. I must say – amazing! Great job guys. I would like to thank you for such a great job and high end product. I couldn’t be happier with the finished product, and I’m very happy I went through your company. Give my many thanks to Cameron and Jack who worked like Trojans on Friday to get our jarrah bench tops and window sills installed. 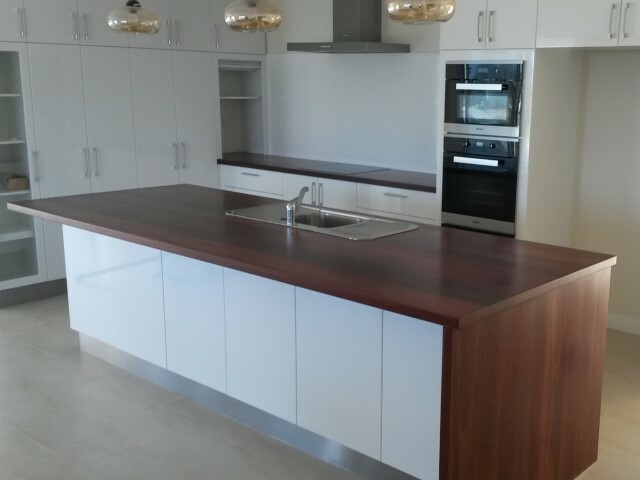 They both did a fantastic job and I would not hesitate to highly recommend NE Timber BenchTops to any of my family and friends. The whole process from your company has been carried out in a friendly, efficient and professional manner. David and I feel that the money spent was value plus. For such beautiful jarrah timber being obtained local to where we live in the hills; this is an added bonus for us. Thank you for yourself and Cameron’s great service. The bench tops have been installed and the client is very happy. May we take this opportunity to thank you for the wonderful job with the bench tops. They are beautiful, and fitted they look just perfect, exactly what we wanted. We appreciate the effort made to come and survey the job, promptness of the quote and the overall professionalism. The time and care taken is evident in the finished product. 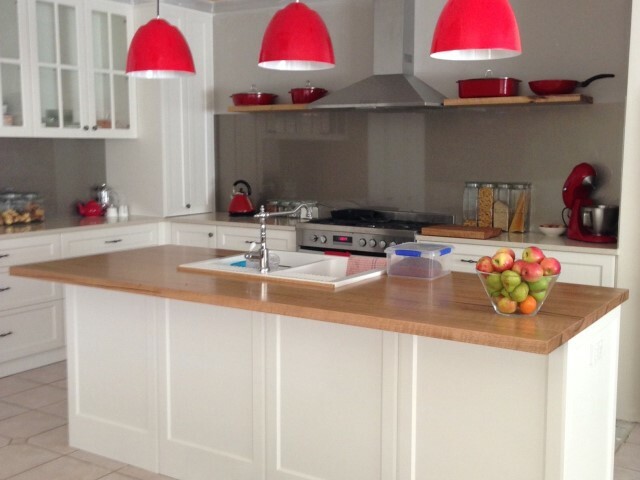 We would not hesitate to recommend NE Timber Benchtops. Thanks for the beautiful bench tops. They’re fantastic and I really appreciate the craftsmanship that has gone into them. I also wanted to say thanks for completing the job on such a tight deadline too. We are absolutely delighted with the finished product. It is awesome!!!! We love it so much we are going to purchase a kitchen table and maybe chairs in the next 6 months. We absolutely love it and can’t wait to show our friends on Saturday night when we have a BBQ. Very great experience with you guys and friendly too. We will recommend you guys to all our friends. Thanks. Extremely pleased with our purchase. It is much admired by all who see it. Thank you so much for the marvellous mantle piece made for the Vicary residence. I am delighted and so too the client.